Mixed media on paper 29"x21.5", signed George Littlechild and dated '88, titled on plaque, archival mat. 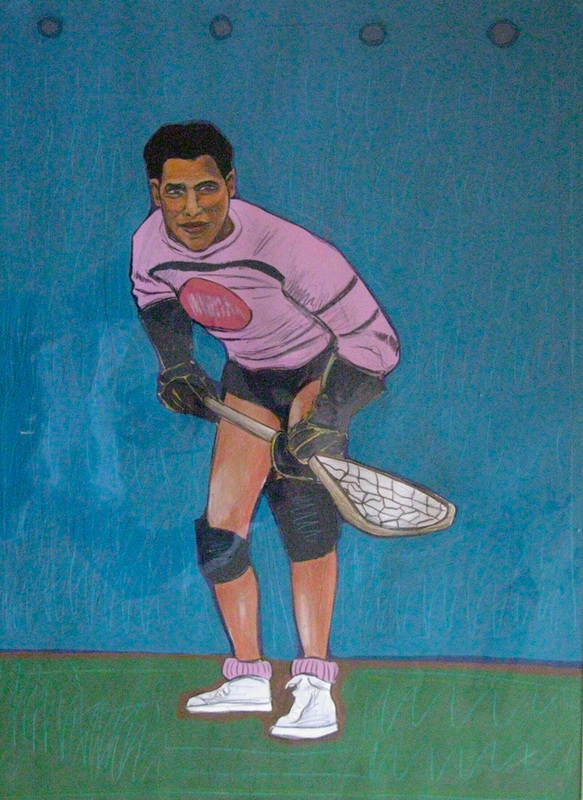 Illustration was commissioned for use in the book To Run with Longboat, portraits of Canada's top native sportsmen. Redkettle Art donated this work to ALS Society in Calgary for their annual fund raising auction.